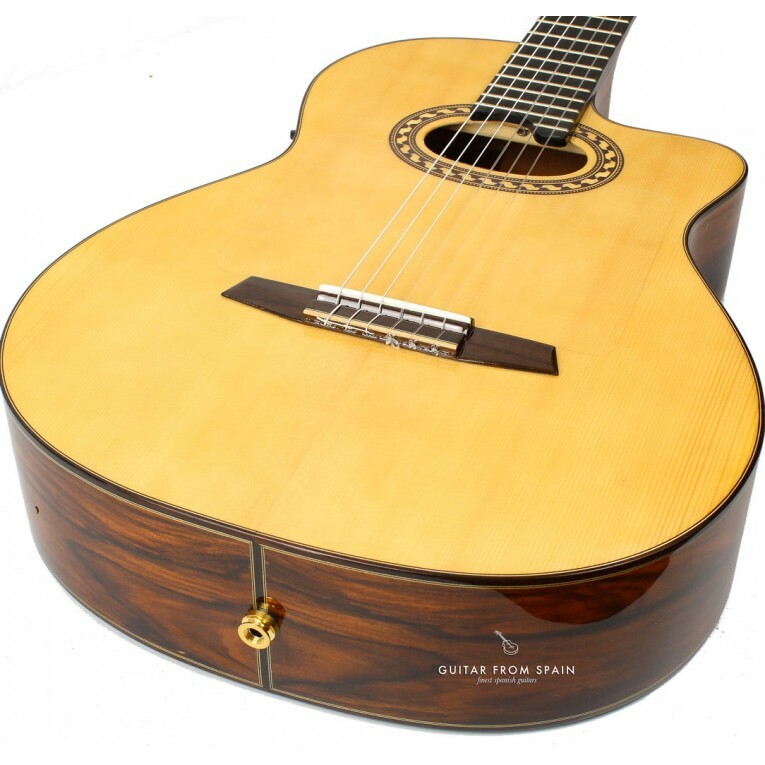 Prudencio Saez 90 Cutaway Electro Classical Guitar. 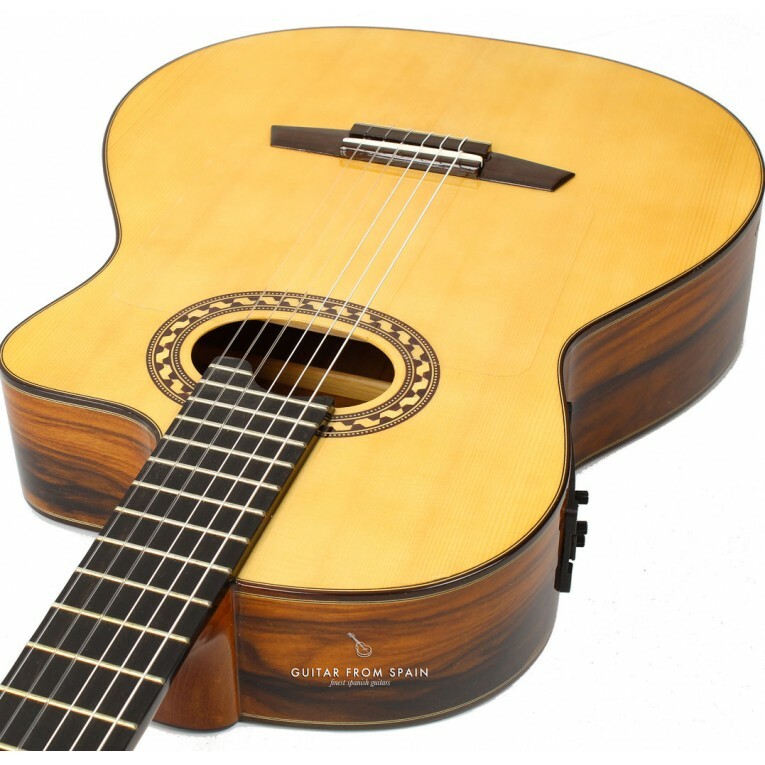 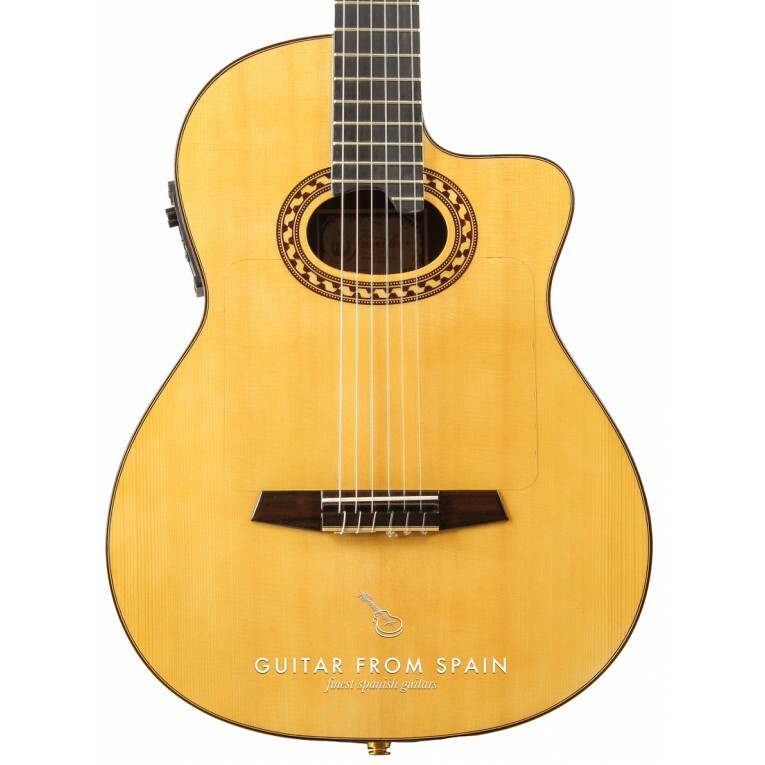 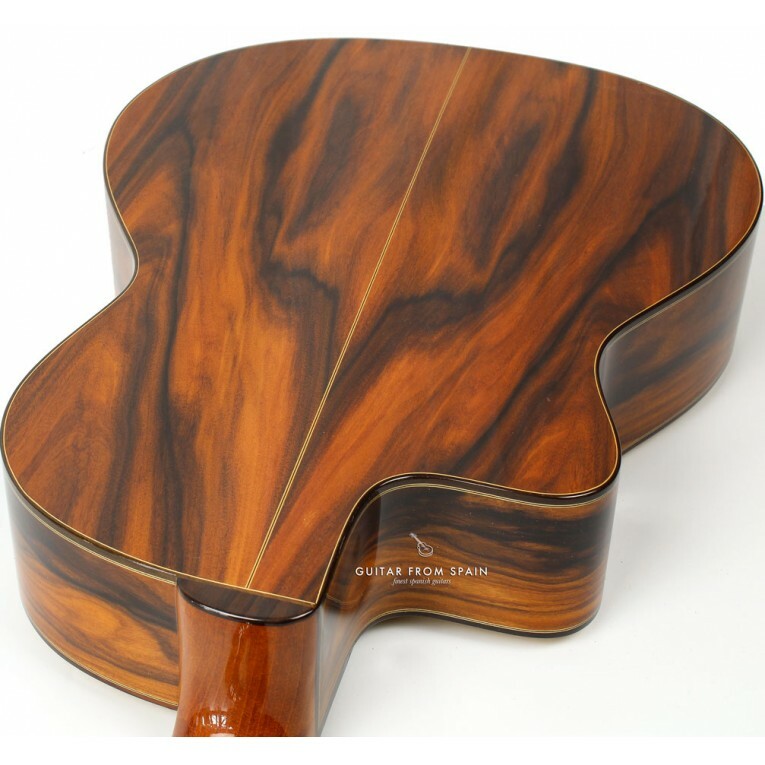 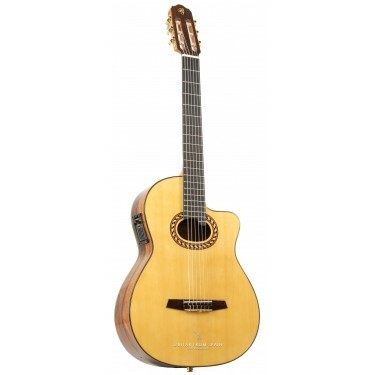 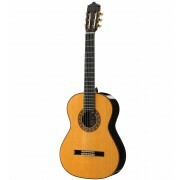 This electro-classical guitar is a very good value for money classical guitar and is the top of the line of Prudencio Saez's electro-classical line. 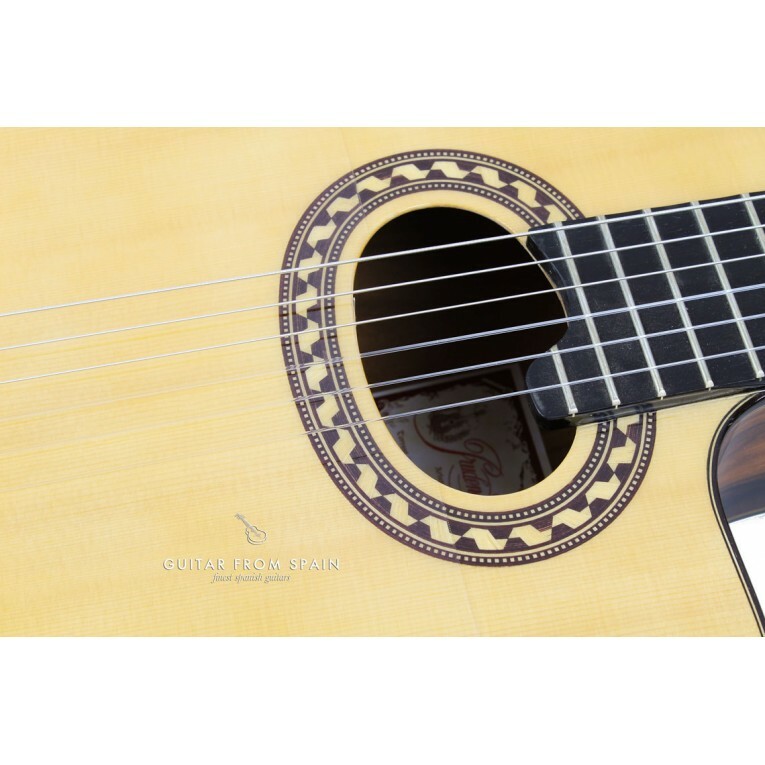 With the adition of a comfortable and flexible cutaway body and electronics from Fishman this guitar is ready to play many music styles. 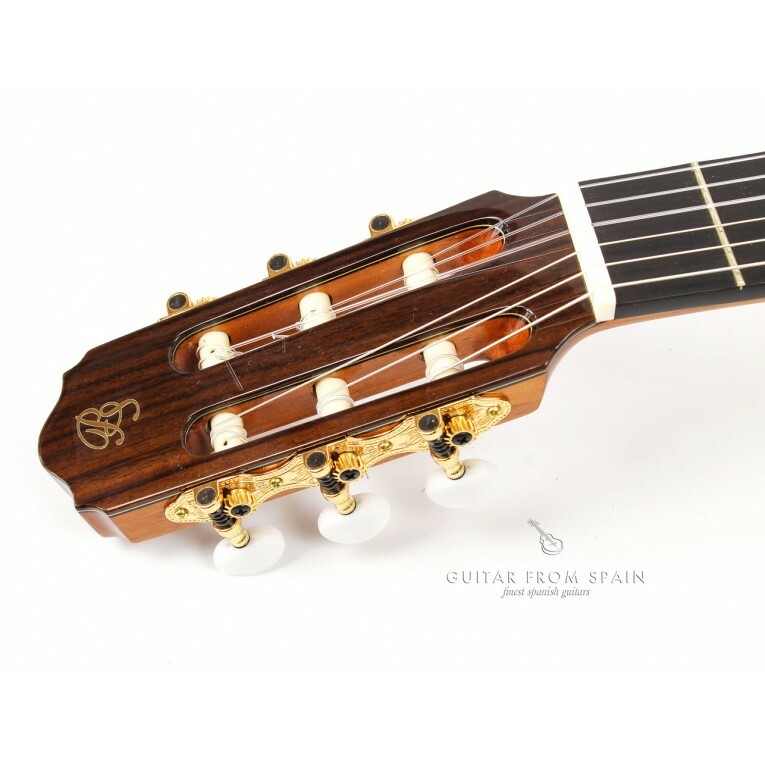 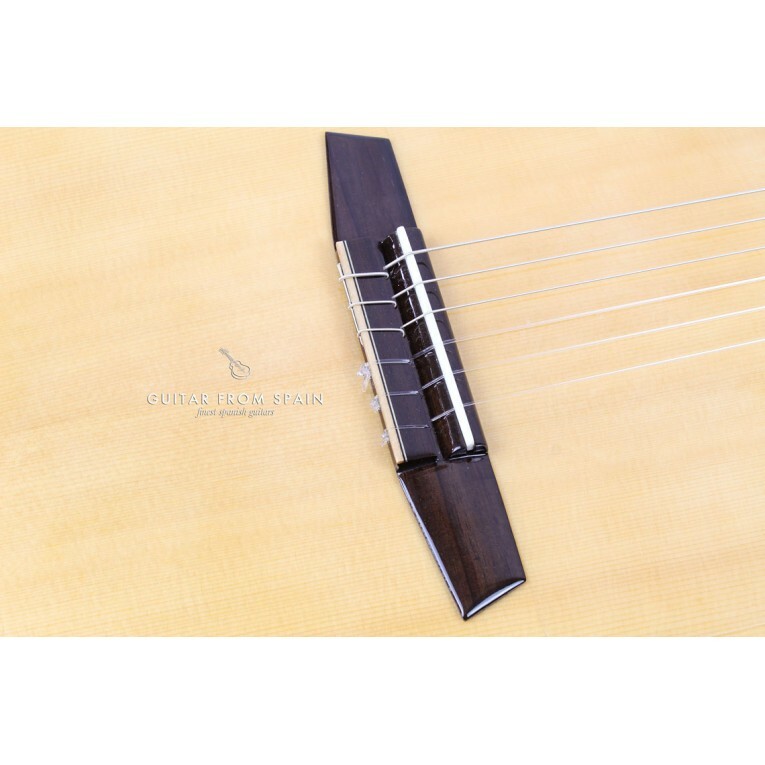 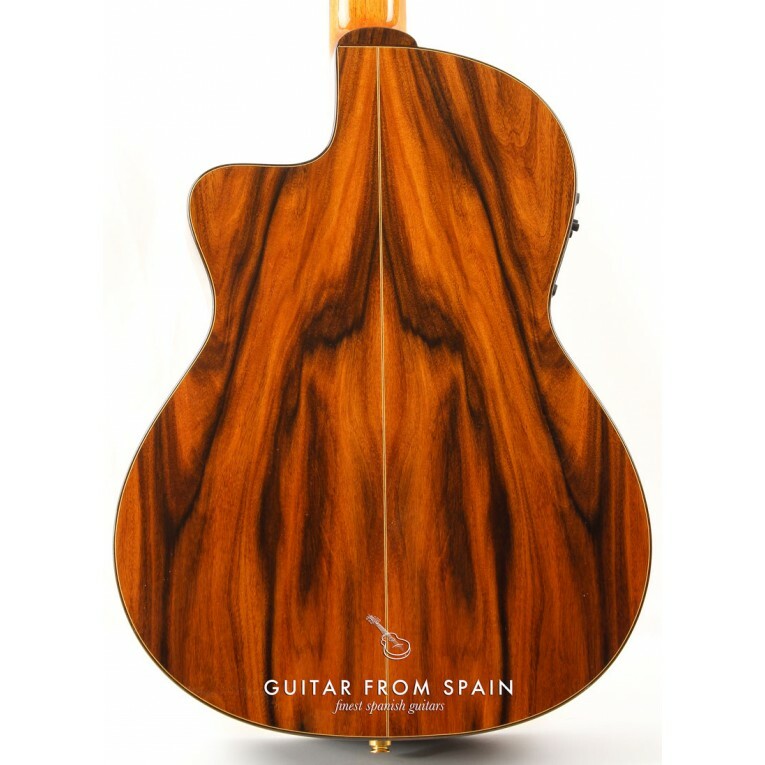 Made with a solid spruce top and "Pau ferro" wood body, the model 90 from Prudencio Saez also incorporates a Truss Rod inside the neck for adjustability to the player's needs. 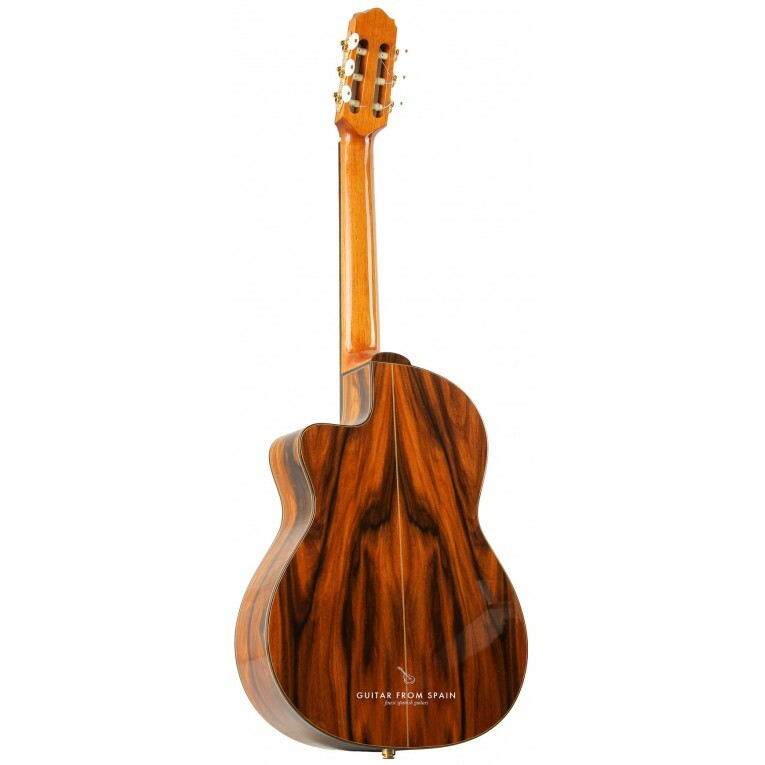 The sound is full of body with a very with a good balance between bass and treble. 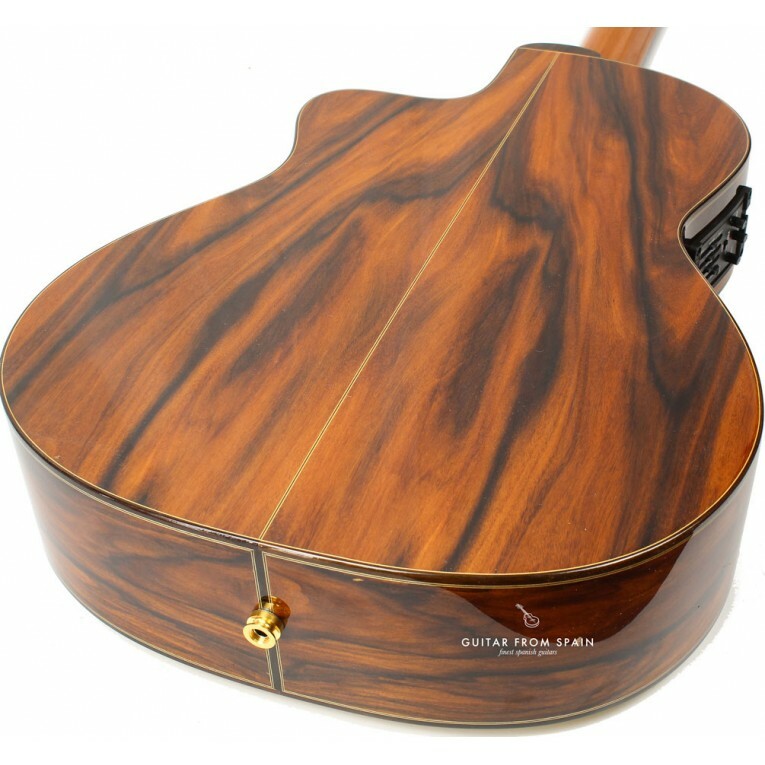 Inorporates the Fishman Prefix-Pro-Blend Pickup and preamp system.